The Confidential Research Information and Investment Act (CRIIA) has protections available for sensitive materials provided by our research partners and sponsors. CRIIA extends the ability of the University to promise confidentiality beyond what is usually allowed by the Freedom of Information Act (FOIA). The University of Michigan is a public body subject to the disclosure laws of the State of Michigan. Thus, according to the Michigan Freedom of Information Act (FOIA), a public record prepared, used, owned, possessed or retained by U-M must be made available for inspection and/or copying upon presentation of a written request. There are, however, some exceptions. The Confidential Research Information and Investment Act (CRIIA) has protections available for sensitive materials provided by our research partners and sponsors. CRIIA was enacted in 1994 to specifically protect confidential research, intellectual property, and trade secret records maintained by a public university in Michigan. The information must be used exclusively for research, testing, evaluation, and related activities. The third party must clearly designate the information as confidential before or at the time it is received by the University. The information cannot be designated as confidential after it has been received by the University. The University and the third party must enter into an agreement to keep the information confidential. Once the confidentiality agreement is authorized, a document containing a general description of the information to be kept confidential, the term of the confidentiality agreement (the start and end dates), the name of the third party with whom the confidentiality agreement was made, and a general description of the nature of the intended use for the information must be recorded and maintained in a central place and made available to the public upon request. Trade secrets or other proprietary information that is determined to have potential commercial value, if a general description of the nature of the information and the University's interest is made available upon request. *Note that CRIIA includes time limitations for exemptions for these records. What does CRIIA not exempt? Information related to a product or process that is protected by patent, copyright, or trademark and that is being sold or marketed directly by the University to the general public. The decision whether material should be withheld under FOIA and CRIIA is made by the University's Chief FOIA Officer, if necessary after consultation with other appropriate offices including the General Counsel's Office. The FOIA Officer has the authority, delegated by the President, to deny a FOIA request. What tools should I use with help of ORSP? 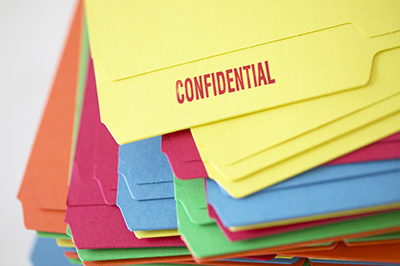 The standard nondisclosure agreement (NDA) is intended to expedite the process for exchanging and protecting a sponsor’s confidential information prior to entering into a sponsored clinical trial agreement. Often the parties are simply exploring the possibility of a clinical trial that may or may not result in the University and sponsor establishing an agreement. Our goal is to provide a fair and balanced NDA that protects the sponsor’s information and also meets the needs of the University as a public body. What should I do if I receive a written request for records? If you receive a written request for University records, please forward it to the FOIA Office immediately, as there is a specified time period in which the University must respond. Contact the University's Chief FOIA Officer and for more information about FOIA and CRIIA, see the U-M FOIA website or read the State of Michigan CRIIA. Contact the U-M's Chief FOIA Officer and for more information about FOIA and CRIIA.